Once your digital magazine is online and published it’s vital that you look into the stats and track how successful the edition is. How is the publication performing? Is it attracting the right person/your target audience? Without tracking and analyzing the performance it will be difficult for you to make the necessary adjustments to future editions to improve performance and reader satisfaction. 3D Issue has an analytics feature allowing you to access reports on the digital magazine’s performance. 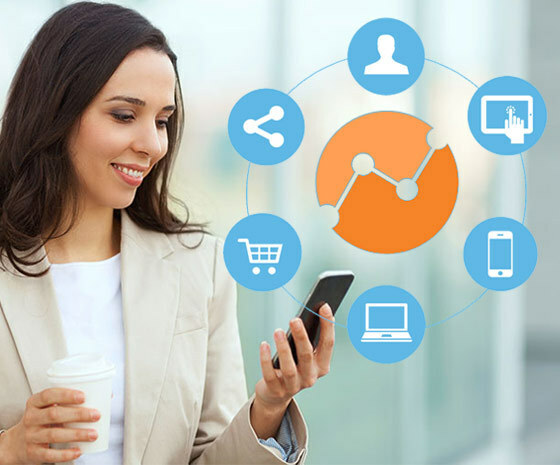 By simply entering in your Google Analytics ID in the software, your publication will feed the statistics to your Google account and record all interactions that a user has had with your digital magazine. There is certainly a lot of information that can be extracted from these reports, and we therefore recommend that you have a clear idea of what information is important for you to track, stats that can identify whether how the publication is performing when compared to the objectives you set. Be familiar with this average reader figures for your publications – if one edition is receiving significantly less views than previous issues, you may want to look at how the reader accesses the magazine/newspaper/brochure. Is the link and promotion compelling? Is the release date and time suited to your audience? Do you provide your readers with a taste of what is in the publication that would entice them to read on further and click through to the whole publication? Knowing the answers to these questions is possible by monitoring your analytics. You may discover one small change to how your share or create has either helped or hindered your viewing figures. Now you can be sure of the effect of your actions. Keep up good practices and drop campaigns that aren’t garnering good results. This figure could be the result of the promotional and marketing activities of the digital publication. Analyze how successful the marketing campaigns were to your prospects. You can then work out your ROI from specific marketing activity to ensure in future the most successful marketing activities and campaigns are used again. Know your reader. Study their reading habits. Look at the most popular pages, what is in these pages that make them popular? You may find that pages containing video clips are being viewed more than those without, if so, then perhaps in the next edition why not make a feature interview as a video or audio clip instead of text? See an example of an audio clip on page 6 of this Soul Music Magazine. See an example of a video clip on page 2 of the Oxford Brooks University Prospectus. From this information you can analyze if there is a point within the publication that is turning away your readers, perhaps they lose interest at pages of text? If so, then in the next edition why not experiment by breaking up long areas of text with images/videos/quotes/animation? However, you may want to use the digital publication as promotional literature to gain traffic to your website; be it a product page or shopping cart. If the publication page has a call to action on it that links to your website away from the publication and this page has a high percentage of visitors leaving from it – it may show that your Call to Action is a great success! So something you can repeat in your next edition. You can track how many new visitors and sales to your website resulted from the publication. There are a number of other facts and figures that you can take a look at, the key is to discover the ones that are relevant to you and keep on measuring! To help, we’ve created an introduction to the Analytics and tracking features available with 3D Issue. Check out this short video tour which will get you set up with your tracking in no time. Then you can discover what content is working for your digital publications! If you have any further questions or would a question answered regarding the tracking of your reader statics please email info@3dissue.com.